Xhibition is an award-winning international public relations firm that delivers exposure and engagement across a variety of media platforms for brands in the travel, lifestyle, architecture, and hospitality industries. Headquartered in New York City and Tel Aviv, Xhibition offers a global outlook on PR while maintaining the local sensibility and hands-on approach of a boutique firm. With diverse clients ranging from a tiny historic hotel in Northern Israel to a leading New York City real estate developer, Xhibition tailors its PR approach to provide each client with the specific support and guidance needed to deliver world-class results. Making the right noise in the right places is what we do by mapping a spectrum of story ideas for our clients, pitching them to our network of journalists, editors and influencers across digital, print, TV/film and radio platforms and channels according to an ever-adaptable timetable coordinated with your business needs. International PR outreach is best complemented with our social media strategies and management to streamline one cohesive digital presence. Keeping your visual communication aligned with your brand messaging is crucial, and we guarantee it by holistically overseeing brand language covering logo, graphic, web, and interactive design, programming and merchandising. Through our trendsetting network of venues, artists, designers, chefs, producers, directors, photographers, wordsmiths, and tastemakers we are deftly primed to conceive and create events, multimedia and copywriting content that reinforces our brand’s core values and visibility. One foot always out the door, Ross Belfer lives and breathes his clients. A self-starter and entrepreneur, Ross has spearheaded media campaigns for a wide range of creative brands and companies across the travel, entertainment and lifestyle industries, securing massive placements in the world’s most influential media outlets. After 7+ years working with Geoffrey Weill Associates, Belfer relocated to Tel Aviv to both pursue a Masters in Public Policy at Tel Aviv University while simultaneously paving the way for Xhibition. When not swimming in the Mediterranean, he can usually be found absorbing endless variables of art, music and cinema and developing his interest in the culinary arts, or simply aboard an airplane towards new horizons. Born in Zacoalco, Mexico, and raised in a small farming village in the heart of the state of Jalisco, Nestor found his way to New York City via California. A PR veteran with more than a decade of experience in the travel & hospitality industry, Nestor has overseen massively successful campaigns for travel and tourism clients around the world (the Netherlands, Denmark, the United Kingdom, Mexico, Peru, Argentina, Israel and Australia). When not working on the latest PR campaign, Nestor can be found playing volleyball, scouting the latest hotel bar, and jealously double-tapping every dog photo and video on Instagram. Rachael more than a decade of experience in public relations, marketing and brand development, both on the agency side and in-house. She has worked in the hospitality, fashion and tech spheres, but is especially excited by her work with restaurants, chefs and boutique hospitality experiences. Rachael began her career in New York, where she helmed the hospitality division at one of the city’s most reputable press agencies. She then entered the start-up world, co-founding a software company in 2012, for which she handled everything from fund raising to team building, branding and product management. In 2014, love brought her to Israel, where she now lives with her husband and dog. At Xhibition, she oversees hotel and restaurant account work, representing many of the country’s top addresses. Originally from New Jersey, Andrew fell in love with Tel Aviv during a semester of study at Tel Aviv University. After graduating from Boston University and working in New York at Interview Magazine, Andrew came back to Tel Aviv to work at the Center for Contemporary Art before joining Xhibition. His interest in art, food, design and culture makes his job an incredibly fun experience. In his free time, Andrew can be found trying new restaurants around the city, exploring Tel Aviv’s creative scene or relaxing on the beach. Charlotte joined XHIBITION as a Senior Account Executive after serving as the lead PR architect for some of the world’s most outstanding luxury operators and destinations. For the past two years, Charlotte played a significant role in leading PR initiatives for South African Tourism, North America in addition to boutique hotels and lodges in Rwanda and Uganda, Portugal, and South Africa’s Winelands. Charlotte graduated from Texas Christian University with a Bachelor of Science Degree in Strategic Communication in addition to receiving a certificate in Hospitality Management from the Institute of Culinary Education in New York City. A graduate of Fordham University and a New Jersey resident, Mara McGowan has always felt at home in New York City. 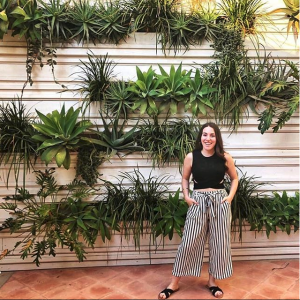 Initially pursuing fashion, Mara was fortunate to stumble upon what would end up being her dream career, and intern at two of the country’s top travel PR agencies. Her love of creative writing and all things travel has made Xhibition a perfect fit. When not pitching away, Mara can be found walking the Asbury Park boardwalk, coffee in hand, or fervently researching new vacation destinations. A Frenchie from Paris who fell in love with Tel Aviv after her first visit, Alex Mathiot holds a M.A. in press relations and communication and has years of experience working in the lifestyle and food P.R. space. Alex has worked on the Nespresso account in New York City while working at Zannier Group. 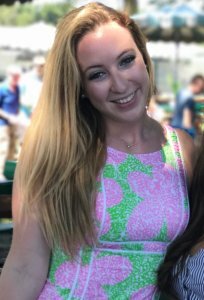 Alex then worked at Jessica Aufiero hospitality PR agency and focused on restaurants and hotels, where she developed her curiosity and passion for food and the culinary world. Then, for the sake of love, she relocated to Tel Aviv to never leave again. Hailing from the U.K., Grace graduated with a degree in International Fashion Marketing before beginning a career in Fashion PR. 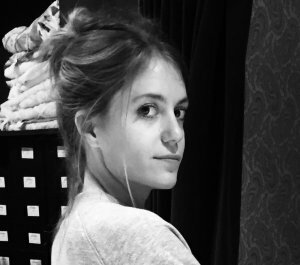 After garnering her public relations skills in the luxury market working for a number of London’s top fashion houses and designers, Grace set up as a freelance consultant specializing in fashion, interiors and design. Now living in Tel Aviv, Grace joined the Xhibition team in 2018 where she manages the fashion, arts and lifestyle accounts. Dutchie Kim Reen studied in Amsterdam and holds a degree in Media and Communication. She started her PR career in the Netherlands at the EYE film museum and later on worked at PR firm NewsLab. A first, brief visit to Tel Aviv made her fell in love with the city. Another kind of love made her decide to relocate. In her free time, you can find her on the beach or strolling through the city: admiring architecture, and always on the hunt for impossible ingredients to try out new recipes.